Our grocery budget is different than most since we almost always buy in bulk. Beef and chicken are purchased a few times a year in large quantities, bulk produce is purchased whenever possible and is canned, frozen, put in cold storage, or somehow preserved. Little House Living follows a special monthly budget to be able to buy this way. This a page of tips and resources on the topic of buying in bulk. How Long Will Produce Last in Cold Storage? Make sure to find more practical uses for buying in bulk by reading about meal planning and canning and preserving. You can also find our specific shopping trips and how we spend our monthly food budget. 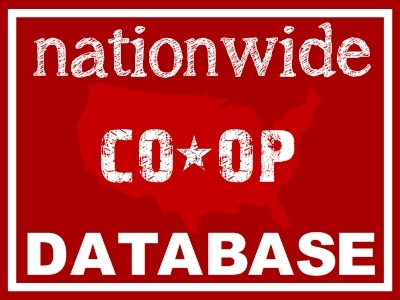 Also make sure to look for a bulk store in your area in your National Coop Bulk Store Database! I absolutely love this series and pinned this page! I’m just now going back through and reading all the posts since I’ve been offline a bit for Thanksgiving. There is so much helpful information and things I’m learning from the series! I have a very large family and would like to buy in bulk but not sure where to start. Thanks for your website. We buy our meat in bulk from Home Grown Cow. It’s an on-line farmers’ market for meat,poultry, and cheese. We simply find a farmers local to us that’s raising the kinds of meat we’re interested in. Sometimes we order a quarter, sometimes just a cut or two to try before we buy kind of thing. They have all kinds of farms. I say some of your readers are looking for goat. They have goat farmers to order from too. I have just found your page and love it. I do need your help. My husband will NOT eat veggies. Only potatoes. Nothing green, nothing healthy. we are wanting to begin to eating processed free. I believe that all of our health problems, or most of them anyway are caused by processed preservitives added food. Can you help me come up with a meal and grocery plan? Thanks for any help. I want to start buying in bulk but I am having trouble finding websites. Do you have websites you recommend? I have a Sam’s Club near me. Is that the best place for me to buy bulk? Thank you! Love your site. Your Pumpkin Bread recipe is the best. If you are looking for co-ops or bulk stores I would suggest taking a look at the Bulk Coop List I created to see what is available in your area. I do shop for some bulk things at Costco but I’ve found better deals through my co-op, Azure Standard. Do you use Mylar bags and oxygen absorbers in your buckets? No I don’t, all my bucket food gets used up within a few months and then replaced, the gamma lids are great at sealing out most things. After reading your posts about food grade buckets and gamma lids I went on line intending to purchase both. The prices for the buckets were a bit excessive, so I went to my local walmart bakery and asked if they had any food grade buckets they needed to get rid of. Apparently they get this question a lot and told me they sold buckets and lids for $1 each. I ended up with 2 five gallon, 1 three and a half gallon, and 4 one and a half or two gallon buckets with lids for $7. I will be buying gamma lids for the buckets, but $1 each is better than $10 each for the buckets. I would think any store with a bakery would have buckets. It’s worth asking. Merissa, I noticed you have thermometer in your cold storage. I’m assuming the other dial measures humidity? Can you tell me where you got it? I haven’t started a cold storage area yet and am looking to do it under the house. I’m not sure if the conditions are cold enough here in California and want to check the temperature before I invest in bulk food. I don’t think it will work for summer but perhaps for winter squashes etc. Yes it’s a temp and humidity. I’m not sure where we got it but I would guess the local farm supply store since that’s where we tend to shop! How do you store food in mylar? Not really sure what that is. Hello again Merissa, I have to say I love your site. I am sure I will be visiting this site often. I have you book marked and I look forward to doing business with you, getting some great ideas for recipes, saving money, crafting and ideas for gifts that I may be able to sell. Great job on the site, I am just a beginner and have a lot to learn about building good sites. I hope you don’t mind me getting ideas from you for my site. I love your site!! Thank you for sharing your knowledge and life and how to make a home and life without spending a fortune!! Blessings and much love! !